See scan - perfect condition. 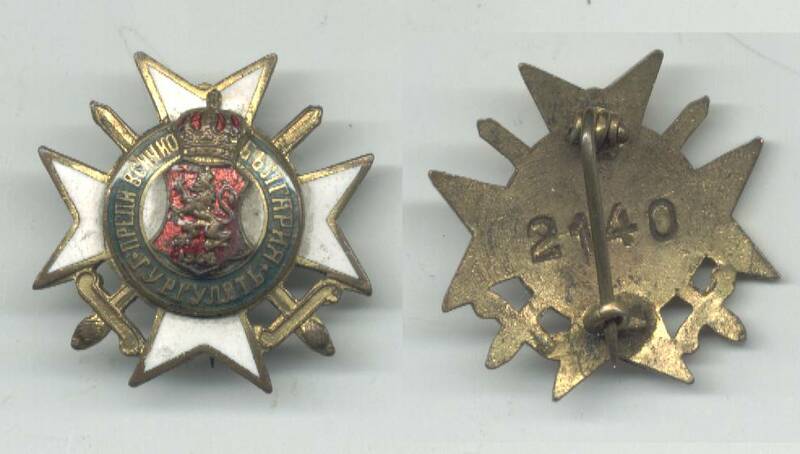 This is an extremely scarce Bulgarian Royal Bravery badge / numbered pin in full enamel of a member of the pro-fascist and German military officer Organization called Gurguliat. Only a handfull of those are know to remain to exist and are really rare. This one is gold plated / gilted and numbered at back 2140. A true collector item.